Sacred to the memory of Elizabeth the beloved daughter of John McGuire Esq. 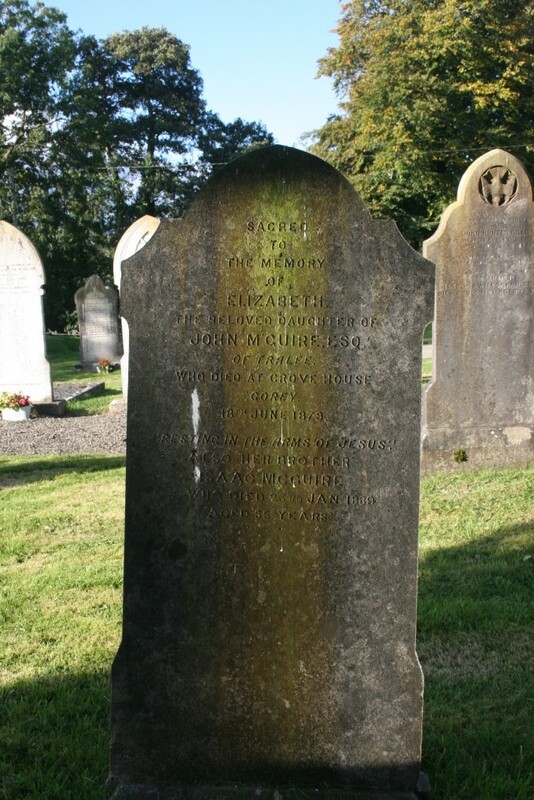 of Tralee who died at Grove house, Gorey 18th June 1879. 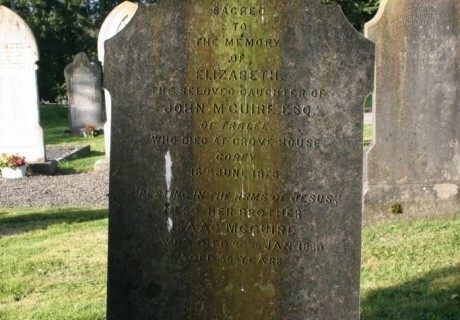 Also her brother Isaac McGuire who died 23rd Jan. 1889 aged 55 years.